Parents’ first reaction in dealing with head lice is to panic. They get anxious and start applying different products to eliminate the problem. This experimentation with multiple remedies can lead to over-treatment which in no way is good for your child or any other family member who has lice infestation. Don’t panic or get frustrated in this situation. Just call The Lice Place to receive professional Fort Worth Lice Treatment services that guarantee to eradicate all lice and nits in just one-time treatment. 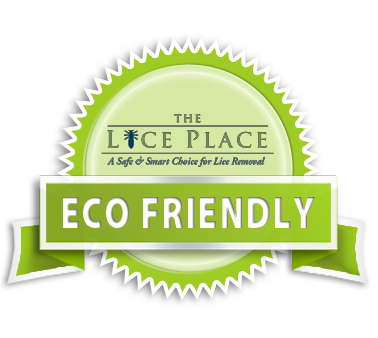 The Lice Place is a leading lice removal franchise in Fort Worth and the surrounding areas. We have been working in the industry for years. Through our extensive experience and safe methods of lice removal, we help families and individuals get rid of head lice in the easiest way. At The Lice Place, we have teams of skilled technicians who not only provide effective treatment for existing lice problems but also guide you through preventive measures to be free of lice for years. Children are often misdiagnosed with head lice. If you suspect your child has lice, receive our head checks to be sure about its existence. Diagnosing the infestation before treatment confirms its existence and helps our technicians in providing effective treatment based on its severity. This way the problem can be eradicated completely. It is also advisable to receive head checks for the whole family. We provide these services at affordable rates and with complete discretion. The Lice Place is the most trusted lice removal company in the area. Our treatment method is the safest as we use professional combing and only non-toxic, pesticide free products. You can also order our lice removal and lice treatment shampoos, conditioners and other products online. They are easy to receive, formulated using natural ingredients and oils, and are highly effective in providing a safeguard against future lice infestation. Call The Lice Place today to get your appointment scheduled. Our Fort Worth Lice Treatment services will help keep your family free of lice today in the future.